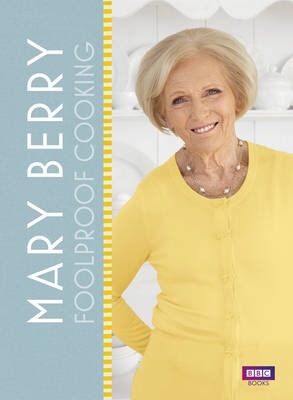 I watched a programme the other night, ‘Mary Berry’s Foolproof Cooking’. She is claiming that she can show you ‘fuss free’ and ‘quick and easy’ ways to cook meals that are still impressive. This programme clearly isn’t aimed at me. ‘The mum with 3 kids who has a toddler that doesn’t leave your side even when you go for a wee’. Mary has clearly aimed this programme at people who have a nanny, au pair, a husband that actually watches the kids when at home so his wife can cook rather than watching Top Gear whilst they create carnage, or for people who don’t have small children. I hope Mary hasnt forgotten what it’s like trying to cook if you have small children around. There’s not a cat in hell’s chance I can just whizz a Beef Wellington together or pop to Waitrose for some Lobster tails which I have to faff around with stuffing back into their shells the opposite way round to make it look ‘pretty’…scampi is almost like lobster anyway isn’t it?! Get bread, grill it on one side. Once brown (burnt will do if you had to change a nappy and forgot about it under the grill) turn over. Toast very slightly on this side. Remove from grill, throw cheese on. Grill again until melted or you’re bored of waiting and eat – best served with a toddler hanging off your leg. Get pasta out of fridge. Throw in a bowl and eat,maybe with some cheese on top if you’re feeling like you want to push the boat out. Best served while you’re being shouted at for “Juice!!! !” and “yum yums!” by your toddler. I hope you enjoyed this weeks recipes. Happy cooking! Brilliant! I’m completely with you on the cooking with 3 kids – When they are here, I manage to burn fish fingers. The rest of the time? 5 tier wedding cake? No problem!